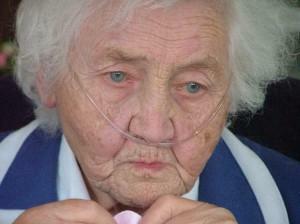 Elder abuse in nursing homes is a prevalent issue today. This is a condition that deserves immediate attention by all families and anyone interested in improving the daily life for seniors. Why does elderly abuse happen? Studies show that stressful working conditions and staffing shortages are major reasons. Burnout and inadequate staff training also contribute to abuse. Abuse of elderly individuals can occur anywhere, from nursing homes to the best residential care facility to our own homes. Without strong advocacy, the problem may continue to escalate. Statistics indicate that in the United States, there are nearly 17,000 nursing homes housing 1.6 million residents. By 2050, this figure is expected to quadruple to 6.6 million. Ageism: is a term that refers to prejudice against elderly individuals. Along the same lines as sexism and racism, ageism is a prevalent issue in America and can prevent elderly individuals from being as happy, safe, and productive as they could be. Abuse: any action that is deliberately harmful to an individual's well-being, health, or safety. Gerontology: the study of old age. People who specialize in gerontology, the fastest growing field in the social sciences, are called gerontologists. America has higher percentages of elder abuse than other countries. Some studies suggest that this is because the United States has a culture that values growth, strength, and progress, and seniors may be seen as "beginning to fail." It's hard to say if there is any truth to that view, but if so, it may contribute to ageism and abuse. Unfortunately, studies also show that professionals who work exclusively with the elderly tend to participate in ageism thinking, and have a higher potential for abusing seniors than people who don't work with seniors or who work in other fields. Until recently, most studies done by professional gerontologists focused on the negative aspects of aging almost entirely. Many studies about ageism and elderly care report that maybe this strange occurrence happens because caregivers and others who work exclusively with the elderly see many of the negative parts of the aging process. Because of this, potential abusers have possibly developed a dismal view of aging in general. This perception is by no means conclusive, but it's important to keep in mind when considering the potential of elder abuse in nursing homes. Simply because someone is the most qualified does not mean they may not abuse a senior. The following statistics are complied from a 2004 report by Adult Protective Services at the U.S. Administration on Aging, a division of the Department of Health and Human Services. If you compare reports in 2004 to the last report completed in 2002, there's an increase by 19.6 percent for all cases of elder abuse. APS received 253,426 negative treatments or abuse reports on individuals aged 60+ (32 states). APS investigated 192,243 reports on persons aged 60+ (29 states). APS substantiated 88,455 reports on victims aged 60+ (24 states). Self neglect was the most common type of abuse reported and investigated (26.7 percent). *Caregiver neglect (23.7 percent) was the next form of abuse reported. Financial exploitation ranked third (14.7 percent). The majority of abused elders are female (65.7 percent) and 42.8 percent of elder abuse victims were 80 years or older. Most elders were abused in a domestic setting (89.3 percent) and a huge majority (77.1 percent) were Caucasian. A statistic many wouldn't think about is that female caregivers were more often accused of abuse than their male counterparts. Approximately 75 percent of accused elder abusers are under the age of 60 years old. Sadly, only 21 states (40.4 percent) have an abuse registry for perpetrators, while 59.6 percent of states have no good registry in place. We can do many things to stop elder abuse in nursing homes and other care facilities. Make sure facilities are proper staffed. One staff for ten elderly clients is abuse waiting to happen. This includes home care. Also consider that one person cannot healthfully care for an elderly individual for long-periods of time. Look into home nursing help, hospice services, or having other family member come and help. Look for good civic support. Make sure that there is good coordination between law enforcement, care facilities, senior advocates, and adult protective services. Learn more about the process. Support and create further educational opportunities for people who work with the elderly population. Review abuse laws. Laws are in place at both state and national levels. This includes abuse registry for perpetrators. Seek the assistance of an elder abuse attorney for a better understanding of rights. Speak up. Enforce mandatory abuse reporting in facilities that care for seniors, including recreation programs. If you see abuse of an elderly individual, or even just suspect abuse, ageism, or neglect, call 911. Also refer to the National Eldercare Locator, a public service of the U.S. Administration on Aging: 1-800-677-1116. The National Clearinghouse for Long-Term Care Information provides a handy guide to planning your own future. Included on the site is information about securing a safe retirement, including planning kit, resources, statistics, state and national news, and much more.